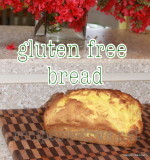 Challah Bread -- this is so YUMMY I froze one loaf for later. I LOVE this bread and it is impressive for company or to take somewhere. Combine 1/2 cup of warm water, the yeast, and 1 tablespoon of sugar in a small bowl and stir to dissolve the yeast. Let it set in a warm spot until foamy. Using a mixer or an electric egg beater, beat the 5 eggs until foamy. Add the dissolved yeast, oil, salt, and remaining 1 cup of sugar and beat until the mixture is pale yellow and slightly thickened, about 4 minutes. Add 2/3 cup of warm water and beat to blend. Next add 1/2 cup of flour at a time, stirring well each time, until the dough no longer sticks to the bowl. Knead the dough on a lightly floured surface until smooth (about 5 to 7 minutes), adding a tablespoon of flour at a time if it's too sticky. Put the dough in a lightly oiled large bowl, turning it once to coat. Cover the bowl with plastic wrap and top with a clean towel. Let the dough rise in a warm, spot until doubled, about 1 hour. Punch down the dough, cover the bowl as before, and let the dough rise 30 minutes more. Grease 2 medium baking sheets. Turn the dough onto a lightly floured surface and divide it in half. Divide each half into 3 equal pieces and roll them into 9-inch ropes. For each loaf, braid together 3 ropes, working on a prepared baking sheet. (To shape a loaf of challah bread, arrange 3 dough ropes side by side. Then start in the center and braid out toward each end. Finally, gently pinch together the ends of the loaf to seal them.) Cover each loaf with a towel and let the dough rise until almost doubled, about 30 minutes. Meanwhile, heat the oven to 400°. 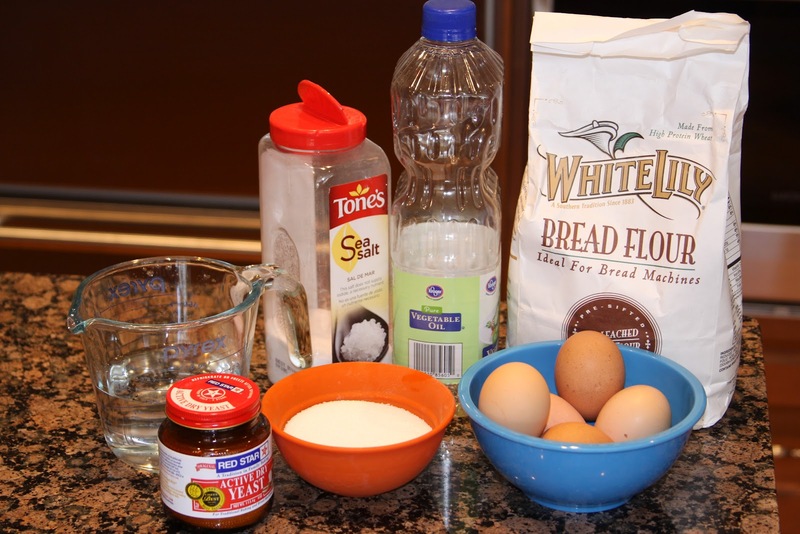 Whisk together the egg yolk and 1 tablespoon of water and lightly brush the mixture on the loaf tops. Bake the bread for 10 minutes, then lower the oven to 350° and bake until the loaves are golden brown and sound hollow when tapped on the bottom, about 35 minutes. Makes 2 loaves.